Have a listen to The Strokes new material, here! About 2 years ago I got the chance to interview Julian Casablancas with his band Julian Casabalancas + the Voidz. I must say, interviewing Julian and the boys is definitely in my Top 5 interviews! Well, Julian is also the frontman of one of the most important rock bands of my era, I’m talking about The Strokes. 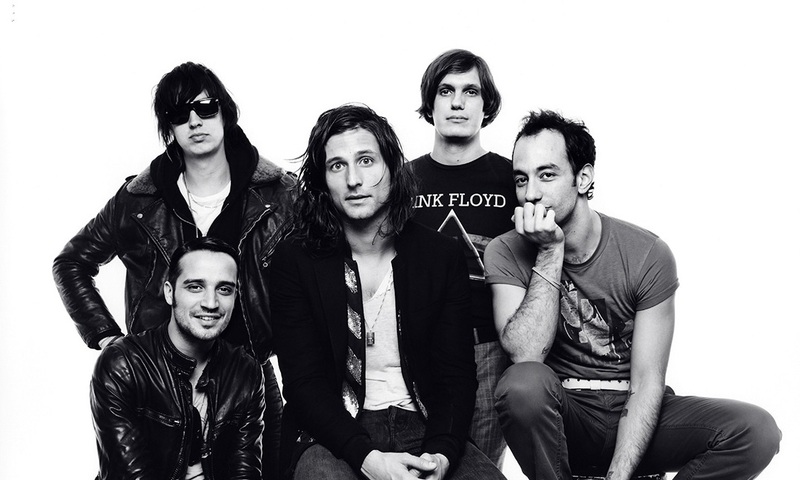 The Strokes began in 1998 and they’re from New York City. They have 5 studio albums and will bring out an EP called Future, Present, Past very soon. They’ve released a few audios that’ll be featured on their upcoming EP. Have a listen to them, here! 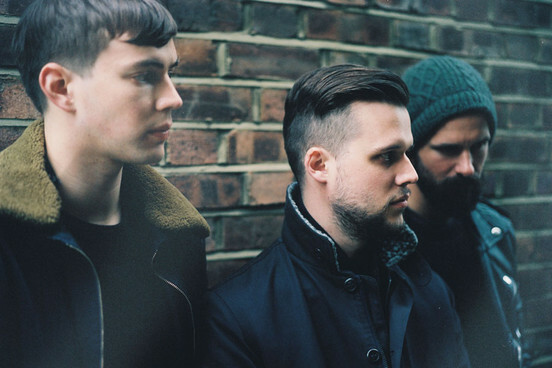 White Lies are back with new single off upcoming album! London post-punk band White Lies (formerly known as Fear of Flying) released their first track off their 4th (upcoming) album; Friends, a few hours ago. The song is called Take It Out On Me and it’s fantastic! Have a listen to it here first! A few weeks ago The Polyphonic Spree came to Mexico to perform at Festival Marvin. I sat down with Tim DeLaughter and Jennie from the Dallas based band to talk about Mexico, life in Texas, music, performing with David Bowie – Tim and I both got very emotional – and lots more. Have a listen to the interview, here! (It’s in english, then Ese Wey and I talk about what was said in Spanish). Thanks a million to both Tim and Jennie, you guys are fantastic! One of my favourite solo female artists, MØ, recently released the second single off her latest album, Kamikaze. Final Song is the name of the electropop artists latest tune. A few months ago we heard the Danish singers first single off her second studio album, Kamikaze (the song and name of the album are the same), and I don’t know what your opinion on the tune was/is, but I absolutely loved it! The album was produced by Diplo (DJ, co-creator and lead member of Major Lazer and Jack Ü). St. Paul and The Broken Bones are a 6 piece soul band from Birmingham, Alabama, USA formed in 2012. The band have released two EP’s and in February 2014, the band released their first album called Half The City. Paul, Jesse, Browan, Andrew, Al and Allen will release their second studio album Sea of Noise in September. The upcoming album is a mix of old R&B, soul, funk and rock. I mean, with that description of sound and after the stuff I’ve heard from the Alabama based band, I can honestly say that Sea of Noise is going to be mental. Check out the trailer for Sea of Noise, here! British soul singer and songwriter Laura Mvula from Birmingham released her debut album Sing to the Moon in 2013. In March 2014, Mvula re-recorded an orchestral version of her debut album in collaboration with the Metropole Orkest and conducted by Jules Buckley. Laura’s second album The Dreaming Room will be released in a few days… Ready for this??? June 17 2016!!! Laura once mentioned that her influences include Lauryn Hill, Nina Simone, Jill Scott and Erykah Badu. Phenomenal Woman is the second song we’ve heard off Mvula’s upcoming album. Check out the video, here! Sam Knowles AKA Karma Kid is a 21 year old Brit electronic dance music record producer and DJ. I had the chance to hang out and meet Karma Kid a few months ago in Mexico when he came to DJ at a festival in Morelos. This might sound cringe, but, apart from Sam being a really talented, passionate and hard worker, he’s really sweet and deep. Love meeting people like that! Check out his latest track called Thru The Tundra ft. Aminé, here! El sábado nos sentamos Ese Wey, Pablo Araiza y yo en el Fuerta Apache (Guadalajara 62, Roma) como cada sábado a grabar sabanudista! El invitado especial de esta semana es un “libre pensador” llamado Franz de Paula. Hablamos de la fiesta, su libro Mentalmorfosis, la vida, vibras, música y muchas muchas cosas más! Pueden escuchar el programa, aquí! Gwen Stefani works with Sophie Muller on her latest music video; Misery. English music video director, Sophie Muller worked with Gwen Stefani on her latest music video Misery. The video is beautiful, the song is cool, too! Misery is featured on Stefani’s third solo studio album This Is What The Truth Feels Like Out (released in March 2016). 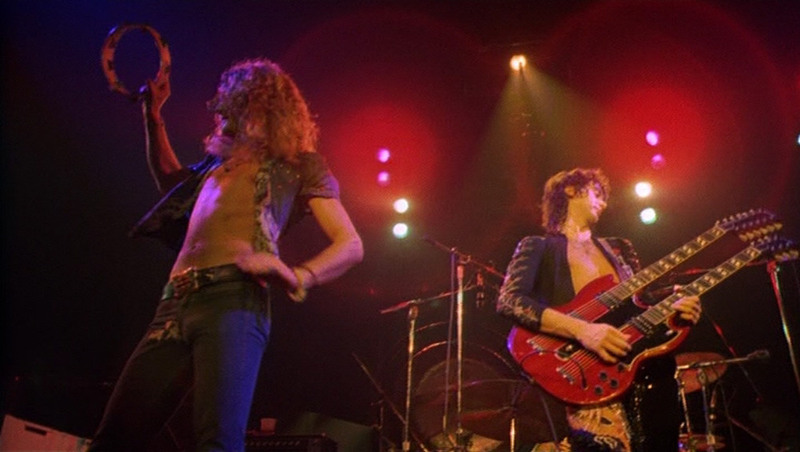 English rock band Led Zeppelin released one of the most important and greatest rock songs in history in 1971; Stairway to Heaven. Composed by Jimmy Page (guitarist of the band) and Robert Plant (vocalist), the song is featured on the bands untitled fourth studio album. (The album is known as Led Zeppelin IV). Check out this rendition of this absolute beauty, below! Summer 1973, Madison Square Garden, New York City. Nuevos Comienzos! Mi canal de YouTube!!! Part 2… It’s just a feeling. Part 1 of… I don’t know how many posts this is going to take me. dieta odchudzajaca skuteczna on Love is patient, Love is kind. Nic the Brit on Melanie C is back after 4 years with a new album! paola thierry on Melanie C is back after 4 years with a new album!